Recent asset surveys by the project developers of the Lower Sesan 2 (LS2) Dam have raised concerns over villagers being pressured and intimidated into agreeing with the surveys and the proposed resettlement plans, which will relocate around 5,000 people. The Cambodian government is in the process of scaling up hydropower development in the country, with a number of large dam projects already complete and numerous other projects proposed. While hydropower dams can bring economic and other benefits, they also carry significant risks. Read more on this story in our blog about these projects. International Rivers works to stop destructive dams, improve decision-making processes in the water and energy sectors, and promote water and energy solutions for a just and sustainable world. Since 1994 International Rivers has been working to protect the Mekong River Basin. More information on International Rivers is available at: http://www.internationalrivers.org. Samreth Law Group (SLG) is a public interest law firm based in Cambodia. SLG provides advice and representation to individuals and communities involved in land and other natural resource disputes or other matters of a public interest nature. SLG aims to establish public interest legal advocacy as a viable component of the legal profession in Cambodia, and to instil a culture in which legal norms are valued and implemented. More information on SLG is available at: http://www.samrethlawgroup.com/. 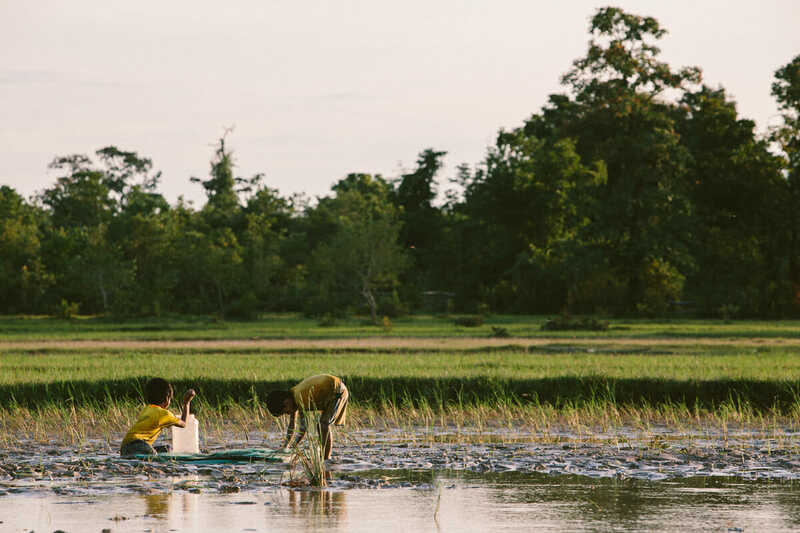 3S Rivers Protection Network (3SPN) is a local coordinating body representing thousands of indigenous people living along the Sesan, Srepok and Sekong Rivers in Cambodia. We work in close collaboration with many partners locally, nationally and internationally in order to restore the socio-economic and environmental situation and the rights of indigenous people along the 3S rivers that have been negatively affected by hydropower dam development. 3SPN was officially registered in 2005 with Cambodia’s Ministry of Interior. More information on 3SPN is available at: http://www.3spn.org/. The Lower Sesan 2 Dam is located just below the confluence of the major Sesan and Srepok tributaries and about 25km from the Mekong River. Pre-construction activities on the project are already underway. Substantive construction of the dam will commence in January 2015 and closure of the river is expected to be complete by the same month. According to plans for the project, substantive construction will take 35 months. The Lower Sesan 2 Dam is being developed by a consortium of Chinese, Cambodian and Vietnamese companies, including China’s Hydrolancang International Energy Co. Ltd and Cambodia’s Royal Group. When complete, the dam will be approximately 75m high and 8km long, creating a 33,560 hectare reservoir, with a generating capacity of 400 MW. More than 5,000 people, most of whom are indigenous, will be forcibly resettled if the project proceeds. The proposed 108MW Stung Cheay Areng Dam is located in the Cardamon Mountains, surrounded by an expanse of protected tropical forest. The area houses rich ecosystems and numerous rare and endangered species, including Siamese crocodiles, Royal Turtles and Asian tigers. The project would displace around 1500 Chorng (Khmer Daeum) indigenous people, who have lived in the area for at least 600 years and consider it their ancestral homeland. The Stung Cheay Areng Dam has been under study since 2006 and two previous project developers have withdrawn from the project. In late 2013, Sinohydro Resources, a subsidiary of Powerchina, received a concession in order to begin studying and investing in the project. [i] Ziv, Guy; Baran, Guy Eric; Nam, So; Ignacio Rodríguez-Iturbe, Ignacio and Levin, Simon A.; ‘Trading-off fish biodiversity, food security, and hydropower in the Mekong River Basin’ Proceedings of the National Academy of Sciences of the United States of America, 28 January 2012. [ii] Piman, T., Cochrane, T., Arias, M., Green, A., and Dat, N. “Assessment of Flow Changes from Hydropower Development and Operations in Sekong, Sesan and Srepok Rivers of the Mekong Basin” (2013) Journal of Water Resources Planning and Management, 139(6), 723–732. [iii] Harbinson, Rod, ‘Cambodia: indigenous protests repel dam builders – so far’, The Ecologist, 28 July 2014.